home, at work, at any where you want. 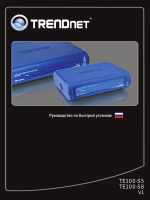 within your network environment instantly. of the camera using the web browser on your PC. useful information for using your camera. authorized dealer of your locale. and quality, and bit rate according to the networking environment. processor to provide a better sound quality. technology that allows you to view streaming media via the network. camera can be upgraded remotely when a new firmware is available. monitor various objects and places for your own purposes. clips, so that you can keep the archives and restore them at any time. 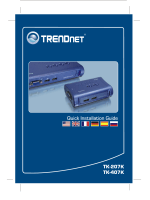 10Base-T Ethernet or 100Base-TX Fast Ethernet. IEEE 802.11b/g, Based on IEEE 802.11n technology. through the three screw holes located in the base of the camera stand. the front panel of the camera. on standby and ready for use now. the camera in LAN and proceed with WLAN settings. Monitor local and remote places and objects via Internet or Intranet. Capture still images and video clips remotely. Upload images or send email messages with the still images attached. camera and provides a basic example for installing the camera. or SecurView Pro to access your camera. access the camera via the Web browser. IP Address will be 192.168.10.30. Internet security settings of your computer. Click Yes to proceed. Main screen to view the live view image.
? Manual Record allows you to record and save a video clip.
? Snapshot allows you to capture and save a still image. user is allowed to use this function at a time. reduce the frame rate of video setting. addresses to be in the same segment for the two devices to communicate. the Internet Protocol [TCP/IP] Properties window. camera by using the web browser. Configuration. The Web Configuration will start from the Basic page. detailed instructions on each step. To start the wizard, click Smart Wizard in the left menu bar. click Cancel to end the wizard and discard the changes. Camera Name: Enter a descriptive name for the camera. two options: Normal and OFF. are two options: Normal and OFF. TimeZone: Select the proper time zone for the region from the pulldown menu. of the camera will be synchronized with the connected computer. Manual: Select this option to set the date and time manually. Password: Enter the password for the new user. to modify from UserList and click Add/Modify. select the one you want to delete and click Delete. Password: Enter the password for the new guest. is allowed to configure the camera through the Web Configuration. you can access it via http://cameraIP/jpgview.htm (eg. recommended to have the feature enabled at all time. DHCP: Select this option when your network uses the DHCP server. directly. You can use IP Setup to obtain the related setting values. and Secondary DNS that are provided by ISP. will get an IP address from the ISP as starting up. email or DDNS configuration in advance. DDNS service with the service provider first. that you can access the camera if it is behind an NAT router or firewall. Select the Enable option to enable this feature. HTTP Port: The default HTTP port is 80.
be used is from 1024 to 65535.
users within a certain range of IP addresses to access the camera. action to assign multiple ranges for the camera. addresses from the list and click Delete. the Enable option to enable this feature. you can easily connect to one of the listed wireless networks. Channel: Select the appropriate channel from the list. feature to secure the camera within the wireless network. Key Length: Select the WEP key length you use: 64 bits or 128 bits. WEP Key 1/2/3/4: Enter the WEP key(s) in the following boxes. degree of security and authenticity for digital information. Pre-Shared Key: This is used to identify each other in the network. Enter the name in the box, and this name must match the Preshared key value in the remote device. providing a simplified secure network setup solution for the end users. connection by entering the PIN Code directly. a. Click the PIN Mode option. c. Click the Connect button to start WPS function of the camera. connection by simply pressing a button on the device. a. Click the PBC Mode option. b. Click the Connect button to start WPS function of the camera. a hardware button of WPS function. point) within 120 seconds to complete the setup. Display the WPS configuration of the camera. blinking 3 times when the connection is built successfully. and audio settings for the camera. Brightness: Adjust the brightness level from 0 ~ 100. Contrast: Adjust the contrast level from 0 ~ 100. Saturation: Adjust the colors level from 0 ~ 100.
horizontally. Select the Vertical option to mirror the image vertically. stamp on the live view image. displayed date & time stamp. Lowest, Low, Normal, High, and Highest. of each connection well through the setting options above. With Audio to transfer the video clips without or with audio. rtsp://(IP address of the camera)/3gp. that you can receive the on-site sound and voice from the camera. This option is displayed when you connect a 2-way audio camera. emails that include still images, and store the images to a NAS system. the camera connects to the server successfully, click Apply. Host Address: Enter the IP address of the target FTP server. Port Number: Enter the port number used for the FTP server. User Name: Enter the user name to login into the FTP server. Password: Enter the password to login into the FTP server. Passive Mode: Select the Enable option to enable passive mode. unchecked if you use regular SMTP email account. send the email. For example, John@mymail.com. Sender User Name: Enter the user name to login the mail server. Sender Password: Enter the password to login the mail server. who will receive the email. user who will receive the email. option to split it by selecting File Size or Recording Time. camera provides two detecting areas. the mouse to move the detecting area and change the area coverage. Name: Assign a name to the detecting area. commands to configure event profiles. while you are using the Network Storage solution. in the list and click Delete. Delete to remove the selected time period. assign a time period within in the selected weekday. and email server, to enable this feature. Schedule Profile: Select a schedule profile from the pull-down list. 10-second video clip every 5 seconds. upgrade the firmware for the camera. Click Reset to restore all factory default settings for the camera. on. The camera configuration will be retained after rebooting. can restore them by retrieving the backup file. might be damaged because of failure of upgrading firmware. Display the Total space and Free space of the USB device. Folder of File when the storage space on the USB device is full. The Logs table displays the events log recorded by the system. supports audio or Pan/Tilt function. drive to initiate the Auto-Run program. Click the SecurView Pro from the Auto-Run menu screen. 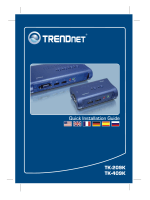 destination location is C:\Program Files\TRENDnet\SecurView Pro. SecurView Pro icon on your desktop. On the login window, enter the User name/Password and click OK to login. login information, please select Auto Login.
? Live View Window displays the live video of the connected camera(s). Display the connected camera(s) in a quad view mode. Display the connected camera(s) in a 3 x 3 grid view mode. supporting up to 36 cameras. mode. Click ESC on the keyboard to return to Main window. once to start and click again to stop. date and time, and the available storage space of the system. eMap for monitoring in advance. to control the selected camera. only in single camera view mode. preset positions (up to 8 positions). then select the position number (1~8) from the Set button. number (1~8) from the Go button. buttons allow you to move the camera lens position. lens to the assigned home position. Before adding the cameras, please setup the recording setting first. directory then click Save to complete the configuration. button and then select Record Setting. recorded files is up to 90% of the storage space. Select the camera you would like to add and then click Add. The information of the camera will display on the screen. name and password, then select Preview to view live image. type, configure it then click Save. schedule by click Add Schedule here. record. Click on Save when finish. information first before setup the motion detection area. same requirement as Motion & Schedule recording. Camera list will appear with recording type notification. the Device Setting windows to return to the main windows. The cameras will display here. the camera you would like to edit then click on Modify button. Remove. Click Yes to confirm. as below. You can select the other modes according to your need. search result will be displayed in the Record File list. button to display the Playback window. button and select View Setting to manage eMap. On the View Setting window, click New. display in the Preview window. Click Save and click OK to apply the settings. Click Camera Location to assign the camera location. Select the camera from the list and then click the position on the map. will be displayed on map. changes the setting information, click Save to save the setting. click Remove. The selected map will be removed from the list. button and select eMap View. Select the map from the eMap Name list. window will display live image on that camera. administrator password of the system. twice (in the Type new password and Retype password boxes). current firmware version of the system. period can be set from 30 seconds to 100 seconds. SMTP settings for email notification use. information correctly to start the email feature. SMTP Server Address: Enter the mail server address. who will send the email. For example, John@mailserver.com. automatically start the Event Service. icon in the system bar. notification from the system while triggering out. On the Address Book window, click New. then click Save when completed. trigger out function of the camera. selected user(s) in the Address Book List. eMap will be displayed while triggering out. to logout the system or Close to exit the program. the feature. Then select a DDNS provider from the list. example shows above is using port number 9000. Go to Virtual Server* section and create a new entry. Private Port: The HTTP port that you assign on your Camera. LAN Server: The local IP address of your Camera. Then click Add to add the application. HTTP port for your camera and click Apply. Find the Dynamic DNS configuration section. 10. The camera login page will appear. lengths of time from the date of purchase. products that are replaced become the property of TRENDnet. does not issue refunds or credit. Please contact the point-ofpurchase for their return policies. duty, tax, and other fees. IN?TALLATION MAINTENANCE OR U?E OF TRENDNET ? PRODUCT? 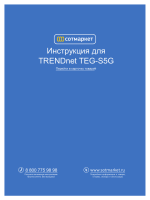 TRENDNET ? OPTION THI? DI?CLAIMER OF LIABILITY FOR DAMAGE? FAIL OF ITS ESSENTIAL PURPOSE.